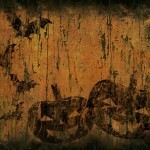 Here are some freaky craft ideas for your adult Halloween party. 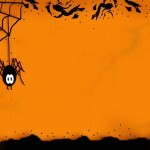 It is difficult to create an entertaining adult Halloween party that includes crafts. The reason is that many people are into dancing, playing pool, etc. However, with the right crafts happening, you can get adults to play. Here are a couple fun craft ideas you can try, and some tips to make the crafts more successful. Make sure you have a total theme that the crafts fit into with the rest of the party. This way it builds with the atmosphere of the party and gets the guests more involved. It is a good idea to have enough crafts planned that it takes up a good amount of time. Also, having each craft limited to a specific amount of time will help the party move along. If all of the areas are already set up for the crafts, it will not slow the party down and make it boring for your guests. Having everything ready will create a smoother atmosphere. As adults, we oftentimes help our kids carve pumpkins the way they want. However, we still are kids at heart. Many times we still like to carve pumpkins. What if the option was open to create real works of art from our pumpkins? This is where the male and female guests will have a ton of fun. 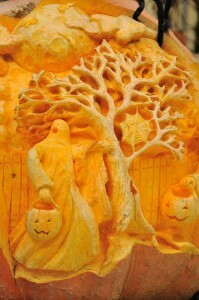 Have the tables prepared with pumpkins for each couple, some stencils, designs, carving knives and scoops for the seeds. You can also add to the table some pencils and markers, blood, glitter glue and other odds and ends to create the perfect pumpkins. This will make for fun and interesting designs. It is fun to have a unbiased set of people to judge the finished projects. Have a nice prize available for the winners. This could be dinner at a good restaurant or gift card to a fun store. This is a simple craft that adults will like because it only takes a few minutes and creates a great decoration for their homes. You can purchase one candle for each group. This is the base. They will not be making a candle; they will only be making the blood that goes around the candle. You can use either the fake blood you get in the store, or some red wax that you melt. We will get to the blood in a moment. Start by having them put the candle on a strong double piece of cardboard that has been taped together. Then have each couple put one or two fake eyes, or a fake finger on cardboard next to the candle. At this point you can have them drizzle the fake blood around the fake eye and candle when it all cools. It is nice to put a little plastic web around the bottom of the candle. The only thing is making sure that it is not flammable material. These candles will be winners because they are fun, spooky and easy to make. The main thing about crafts at an adult party is to make sure that they are fun, interesting and not time-consuming. This way if your party has a variety of personalities, they will all have fun. These are just a couple of fun craft ideas for your adult Halloween party; you can find many more on the Internet simply by checking out Halloween crafts through your favorite search engine.